ThursdaysÂ May 8th, 15th, and 22nd, 4-6:30Â p.m.
Every spring, volunteers help us tackle garlic mustard before it spreads. Join with us this year to help protect the Mink Brook Nature Preserve and stream corridor. We promise fun, food, and good pulling! Join UVLT staff and friendsÂ (and bring friends! 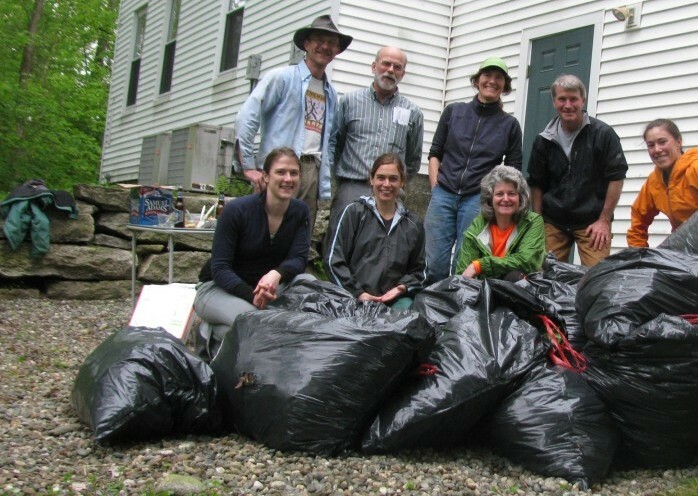 )Â for some get-your-hands-dirty management ofÂ garlic mustardÂ near Mink Brook! In good company, you will be helping theÂ adjoiningÂ forest of the Mink Brook Nature Preserve retainÂ itsÂ healthy ecological state by pulling and bagging this troublesome non-native invasive plant. So far, garlic mustard has only been noted in limited places within the Preserve â€“ BUT we need your help to keep it out! Light refreshments will be provided to helpers. Let us know if you can make it so we can be sure to have enough for everyone!